Security. Your information is stored on the wardortho.staging.wpengine.com Site server located in the United States. We use procedural and technical safeguards to protect your personal information against loss or theft as well as unauthorized access and disclosure to protect your privacy, including encryption, “firewalls” and Secure Socket Layers. We treat data as an asset that must be protected against loss and unauthorized access. We employ many different security techniques to protect such data from unauthorized access by users inside and outside the company. However, “perfect security” does not exist on the Internet. 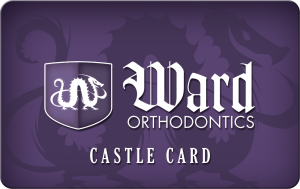 When you receive an email notification from us, you will be given the option of receiving recurring informational/promotional emails from Ward Orthodontics and/or third parties. You may opt out of receiving these emails in the manner specified in the email or on this Site or by changing your preferences in your member profile as specified below. You can always contact us in order to (a) delete your Personal Information from our systems, (b) update the Personal Information that you have provided to us, and (c) change your preferences with respect to informational/promotional contacts, by emailing us at wardortho@wardortho.com.